Me - post Famous Five! Child: You wrote my most favourite book in the whole world! Me (glowing with pride): which one was that? 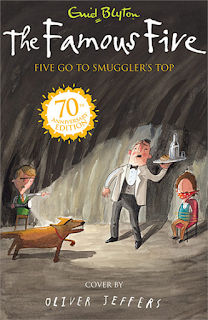 Now Blyton's publishers have done rather a lovely thing. 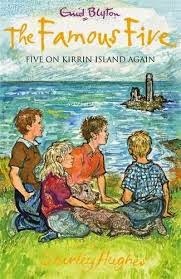 They have reissued the Famous Five with new covers by contemporary illustrators. Here are some of my favourites. 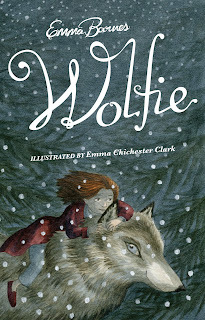 And two of these illustrators – which makes me feel a little strange – have actually illustrated my own books too. 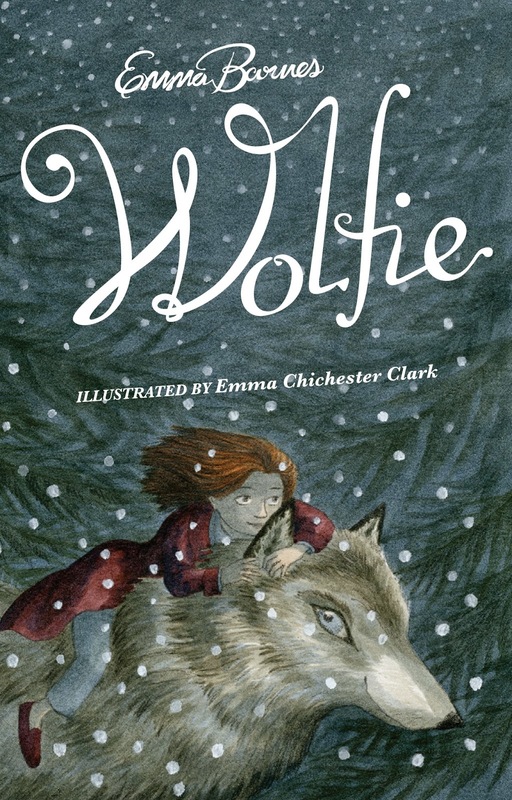 The first of the series by world-famous Quentin Blake, who played a key role in the project. It's a very different look from the editions of my childhood. I especially like Oliver Jeffer's depiction of Timmy! 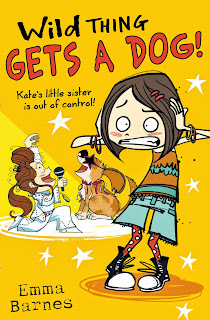 This cover has the distinctive style of Shirley Hughes - creator of Alfie, Lucy and Tom, Dogger and many more. 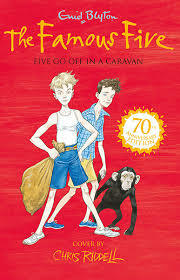 And finally, the new cover of Five Go Off In A Caravan is by Chris Riddell, the new Children's Laureate. He is seen working on his cover here and speaking of the "cultural phenomenon" that is the Famous Five, and the attractions of the "simpler age" they represent. Which cover is your favourite? What a nice idea! My children really enjoyed Enid Blyton too. I remember actually buying - out of my own pocket money, and ours wasn't a book-buying household, apart from Christmas annuals - Shadow the Sheepdog; I don't know if that's still in print. Must look! 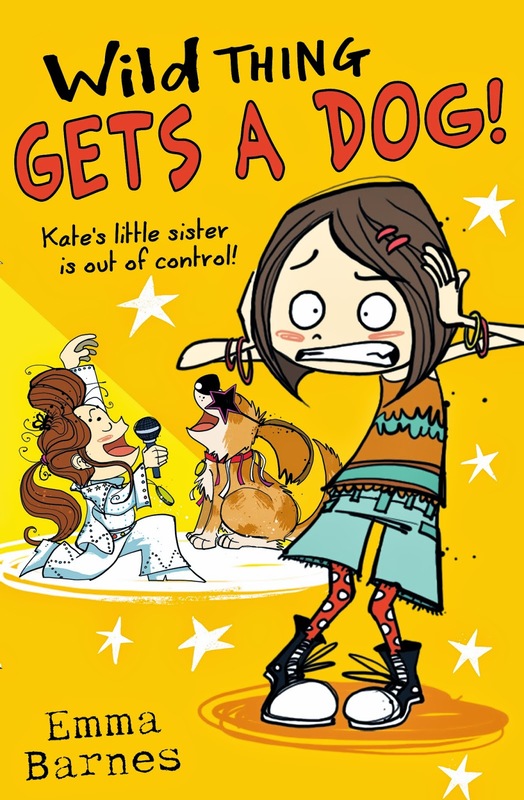 Shadow the Sheepdog was my sister's favourite - I still have her copy. My own favourite Blyton is actually The Secret Island - sort of Robinson Crusoe for kids. 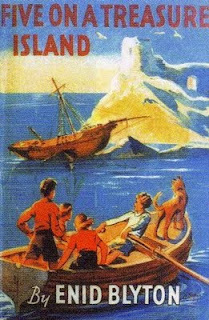 My favourite - and in a lot of ways my worst - was also a Blyton, called something like "Mystery of the Burned Cottage." It had a picture of a really freaky looking charred-up ruin on the cover and it scared me so much I couldn't even have it on my bookshelf - I had to hide it down the back! I was scared of it for years and then finally I summoned up the courage to read it and it was GREAT! I'd say Enid Blyton is definitely great children's literature. 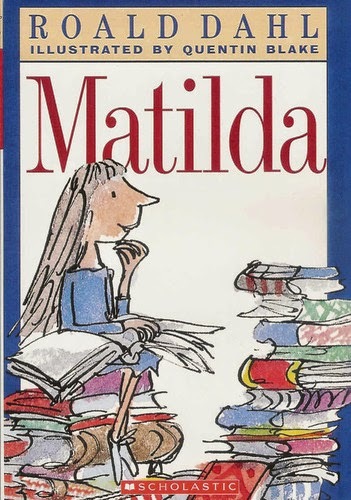 It might not be deep or full of subtext or emotional insights, but she understood the minds of children of a certain age, understood them with a wisdom that in an adult might as well be called genius. Quite simply, she knows how to weave a story that will hold children fast from page to page, without resorting to the shock tactics or cheap thrills so prevalent today. The stories just don't get old. Kids still love them, anachronisms and all. No idea how she pulled that off. Those covers are fabulous - and weird how they do a dance with my memories! Oh, I wish these new editions were available in the US. Love the Quentin Blake cover. My favorite was Five Run Away Together. Such fun! 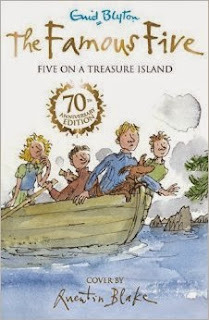 I read a lot of Blyton's other books when I was in my 20s, and traveled to England for work. I found that some of the other series (Island of Adventure, etc.) held up better for me. But the Five will always have a special place in my heart. Exactly Nick. And she never even planned her stories out - she just wrote them. Amazing. Jen - I agree about the Island of Adventure being stronger. 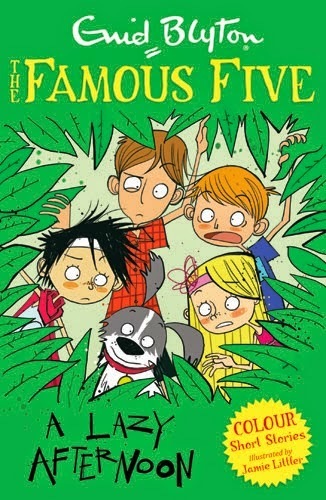 But the Famous Five is what got me reading...and there's something about the characters too. George especially. 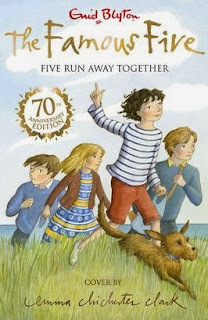 Enid Blyton was my favourite author as a child - and I too, paid hard-won pocket money for copies of the Famous Five! They still hold children's attention, and even though as an adult you see the repetitiveness and casual class/race prejudice, as a child I found them just hugely exciting. I loved Malory Towers, too, but could ever get on with the Secret Seven. If someone want to know more about famous five book set I think this is the right place for you!